Lodgit Desk allows you to set up as many VAT rates as you need and then to assign them to the various services you offer. This allows you to adapt your booking and reservation program to the tax conditions specific to your country or region and as such, to also be able to swiftly react when the taxes change. 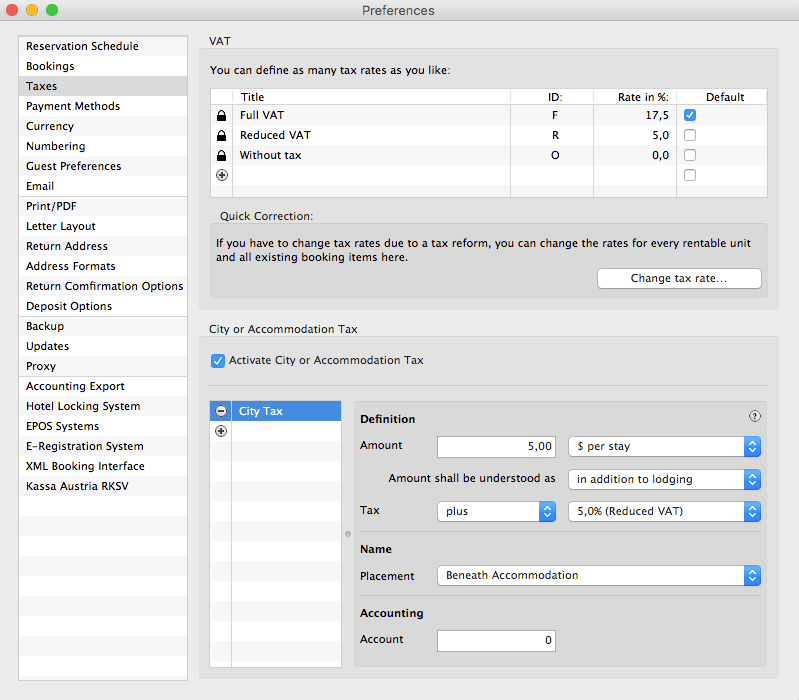 Even the overall differentiation between a lodging part and a catering part in the case of half and full board arrangements, which is usual in Switzerland, can be correctly taxed using Lodgit Desk. Hint: Besides you have the possibility of easily changing the VAT rates for active bookings. This way, you are best equipped to face future VAT rate adjustments! Add, view and manage VAT rates. 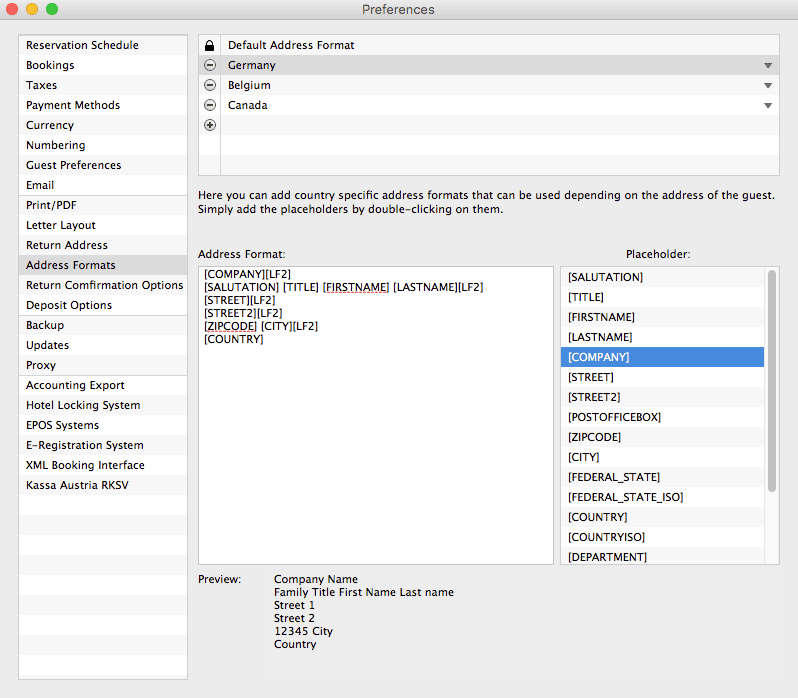 Depending on the country saved in the guest profiles, various address formats for postal correspondence can be defined. These will be used automatically upon generating correspondence (letters, offers, confirmations and invoices). The visual display of the booking sheet can be stylized with hand-picked colors. 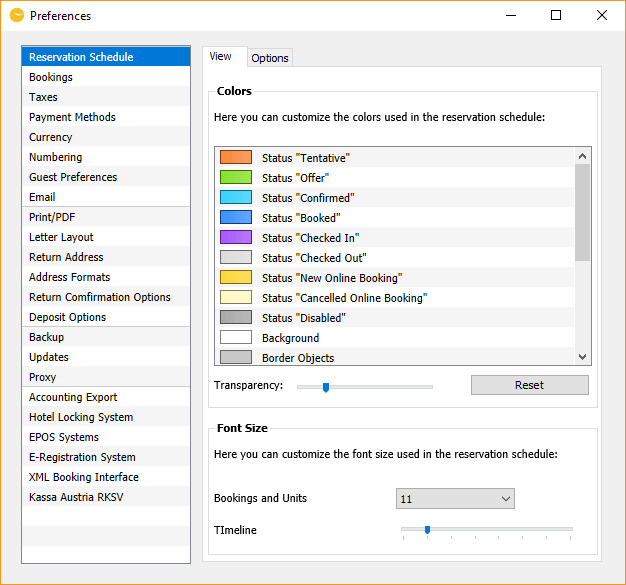 This applies for the background colors, highlighting weekends as well as the colors of the various booking statuses. 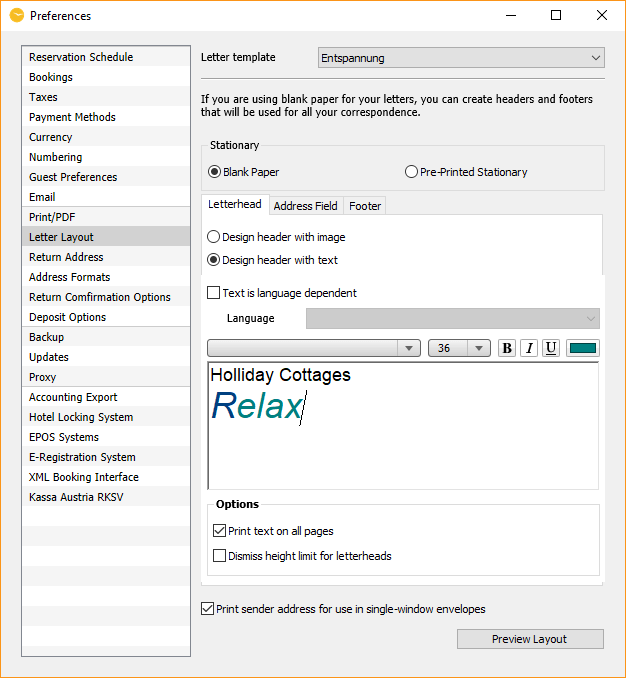 If you are using blank paper for your letters, you can create individual headers and footers in Lodgit Desk. Additionally, you can link different templates to any of your accomodation objects that will automatically be used in the respective correspondence. Upon setting up the payment methods, an individual term of payment may be entered. Then you can write an accompanying text in the Text Management area which will be automatically printed with the invoice. Furthermore you can define your own methods of payment which will be considered in the evaluation as well as in the accounting export. In Lodgit Desk you can also choose the standart currency from all available currencied of the world.